2. Click the Assignment link. 3. The Assignment screen will appear. Click the Add Submission button at the center of the screen to begin your upload. 5. 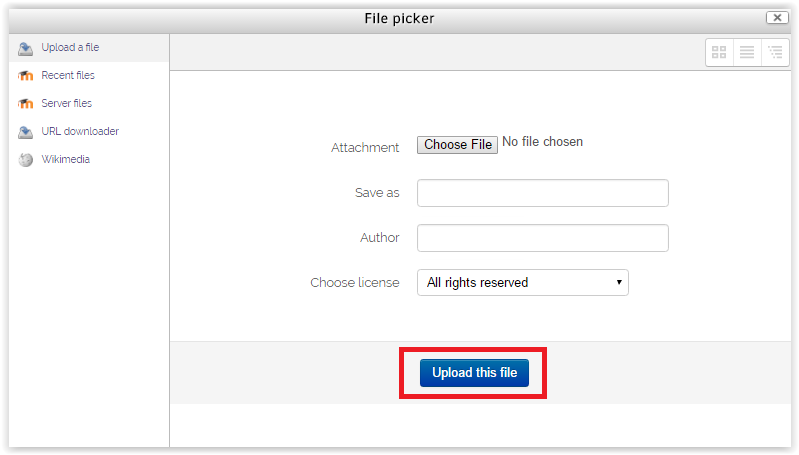 If you select the Add Submission icon, the File Picker window will appear. 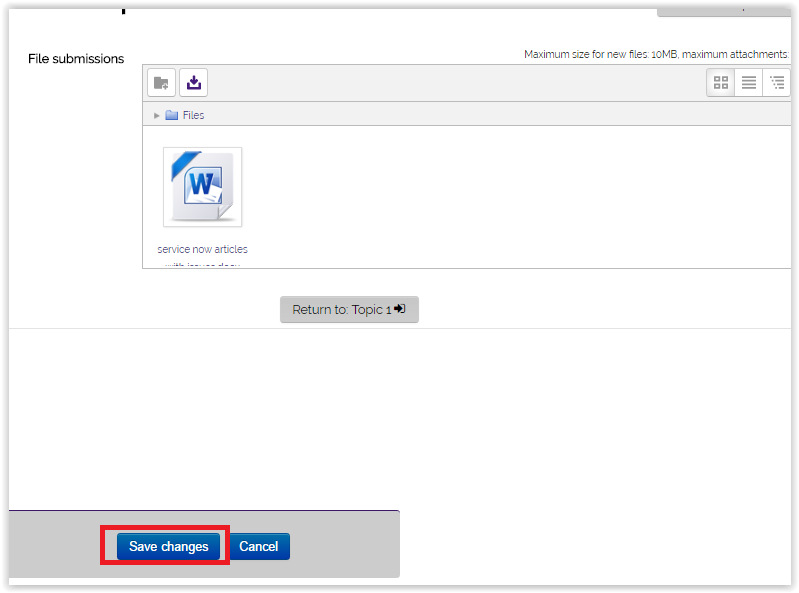 Attach your assignment and click Upload this File to save changes. 6. The file should show up in the File Submission window. When you are finished uploading, click Save Changes to finish. 7. If you select the drag and drop window, click, hold, and drag the file into the file submission box. Click Save changes to finish. 8. Your assignment is now submitted. If you need to edit your changes, click the Edit Submssion button at the center of the screen. NOTE: You can edit your submission up until the assignment is due (which should be listed under the Due Date and Time Remaing fieldboxes on this screen). 9. If present, be sure to click the Submit Assignment button in the center of the screen. Please note, your instructor may not require the submit assignment button for any or all assignments. NOTE: Once you select Submit Assignment, you can no longer make any changes to your submission.